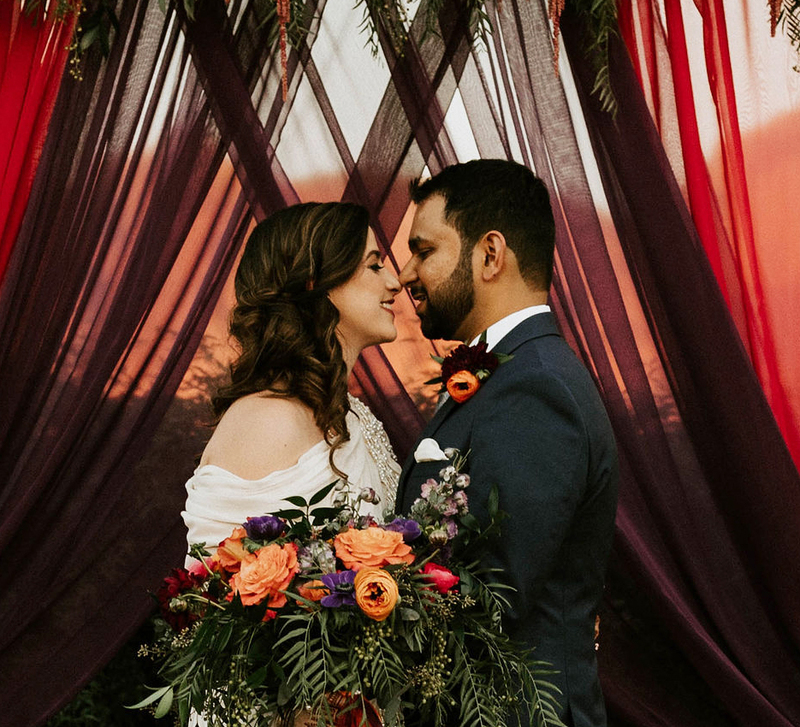 Renu and Rajiv planned a charming wedding - from a traditional Indian ceremony to a modern reception - and every function was meticulously designed with their tastes in mind. Here, the couple shares highlights of their big day. Rajiv was living in New York, pursuing his passion for acting while making a living in finance. Across the country, Renu was in Indiana where her family lives. On January 1, 2015 both swiped right on a dating app and then got on a phone call. That first conversation lasted a full 8 hours! 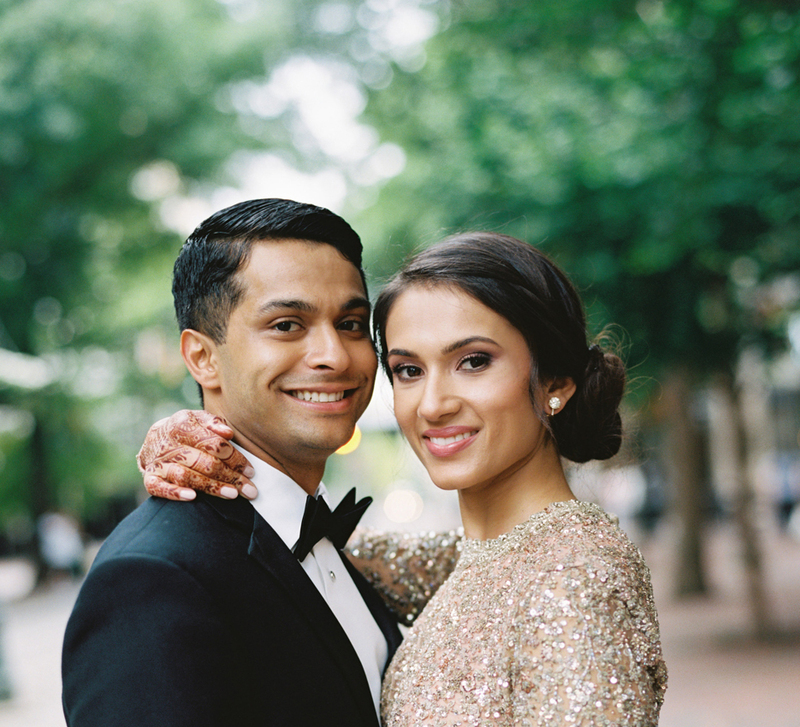 The next year, Renu and Rajiv moved to Los Angeles to build a dream together. In September of 2017, Rajiv proposed to Renu! Renu tells us all about it. “Our families had gifted us silk sari fabrics in bright pink and electric blue and we had outfits tailored from those. I wanted to literally “let my hair down” to ease my nerves so my look was minimalistic. I did however wear a precious gold headpiece my sister had worn on her own wedding day. We set up different stations to offer our guests a range of experiences. There was a bangle bar, a folk-singing corner and also a henna station. Decibel Entertainment’s DJ Khanvict powered the party and his piece de resistance was a playlist featuring songs from DDLJ. 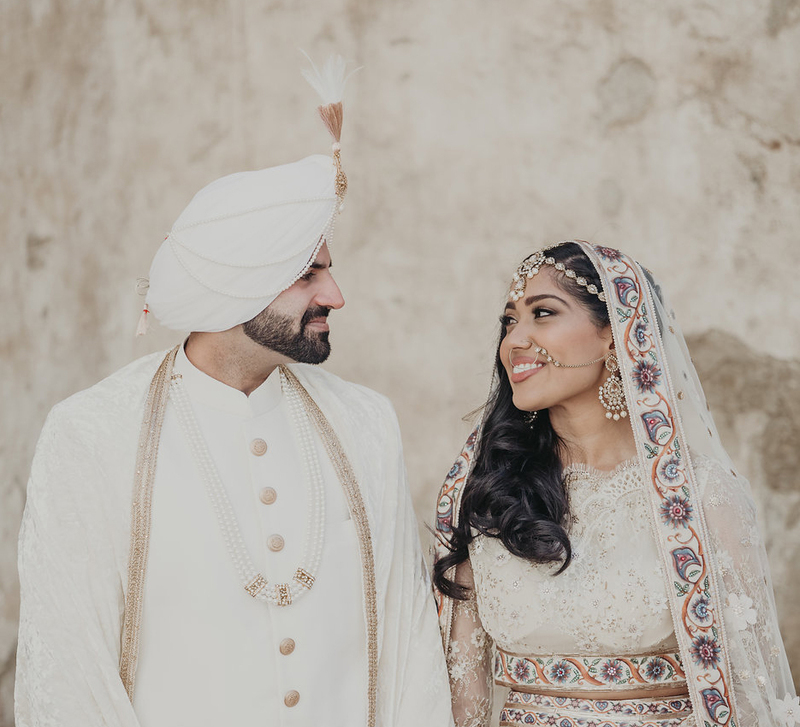 “We wanted our ceremony to be traditional and timeless. We also wanted a lot of pink – Rajiv loves the color on me. Big believers in symbolism, we decided to be married outdoors to feel the blessings of our grandparents and ancestors from above. Our first date ever was over coffee and donuts and so in addition to Indian snacks and chai, we served our guests donuts. The décor was minimal to let the natural beauty of Coxhall Gardens and the lakes shine but we did have a gorgeous bed of pink and red rose petals for the wedding party to walk down. 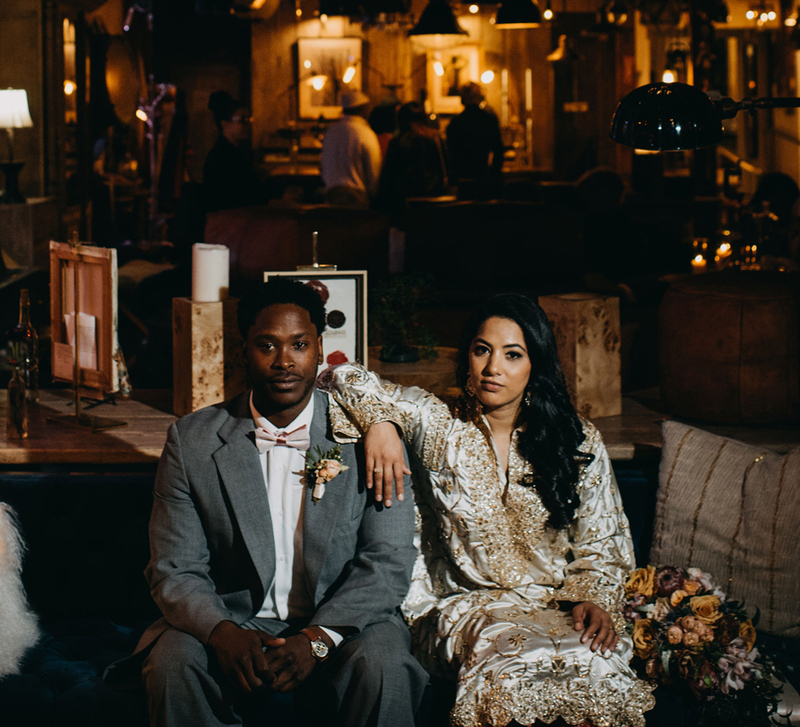 “At the reception, we wanted everyone to be a part of our love story and focus on getting their feet on the dance floor! So we skipped the usual stage and had our DJ out front and center with LED panels surrounding his booth. The night was epic with dance performances by both our friends and family interspersed with heart-tugging, tear-jerking speeches.